I decided it was time for a new adventure. I was born and raised in Kansas but now live in California. Average driver should be turning 2500 to 3000 miles a week. At .52 cpm= $1250 to $1500+ a week gross. Take home pay will depend on your tax bracket. Find out how many miles he is driving every day/week. When you are dispatched on a load with a lot of time on it, as a driver you need to be proactive. Talk to DM to drop in yard, switch with another driver low on hours, or move appointment time. If forced to sit on load, then ask for detention pay. Hopefully gtown, rainy, old school or big Scott will chime in soon. I find it interesting that he spoke with her at 8am and was informed to deliver the purse by 5 pm. You were 1 hour away with 9 hours to deliver it. You missed the appointment. 1 part of trucking is delivering on time. Your decision to not deliver the purse on time resulted in the negative consequences. May Trucking Company pay options: CPM (0.35 for me as a rookie) vs. $105 daily minimum with 90 day extra pay based on miles. I'm on the flip side of the coin. When I started at May, I needed a safety net. As a rookie, it seemed to take me longer to figure things out. No matter what happened, I was getting $735.00 a week. As I learned to manage my clock, knowledge of shippers and receivers, and trip planning, I could have switched to cpm to get paid sooner. I didn't. I liked getting a bonus every 90 days for the extra miles. I was happy to have that guarantee when I80 was shut down in Wyoming during winter. When I left May, my weekly pay was $910.00. They even paid me the miles for that quarter I didn't complete. I was considered a top driver for May. They were very fair with me. If I wanted to go back otr, they would be my first call. There are no gimmicks except 1. They want you to accept and run every load assigned legally and safely. In other words, you can't sit on your a** collecting pay and refusing loads. Let me know if there are any more questions. Matthew The good news is that you live 20 miles east of the I5. The I5 corridor is a huge freight corridor from Seattle to San Diego with LA, the bay, and Portland in between. With that in mind, national companies like Swift, Schneider, and Knight with schools would be your starting point. You would be western regional. Hopefully you could swing by the house for your 10 hour break once or twice a week. Once you have that magical first year done, the sky is the limit. Driving jobs are hard to find in the area without any experience. Check Sierra Nevada brewery, walmart dc in red bluff, legend transportation in Yuba City come to mind. Also walnut and almond harvest are coming soon could be another possibility. Propane companies suburban, triflame, amerigas, reliance, k gas. Possibility of hauling fuel. Go south on midway past skyway and turn right on hagen lane. There is a huge fuel loading plant for N CA. Alot of these possibilities require experience. Don't take my word, do your research. How do I know this? I live 12 miles east of Chico up the skyway. I went to private school in redding. I drove for May for 2 1/2 years OTR. I now drive locally for a propane company. I don't know how to do the starter links. Hopefully Brett, old school, errol, g-town, or anybody can add them. 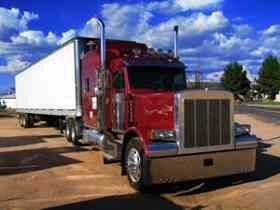 Trucking can be a great career with a good starting foundation. This website is a start to that career. If you have any other questions, fire away. Somebody will be able to answer. I hope this helps and doesn't confuse. I used this explanation when I trained. 4 clocks-70, 14, 11, 8. Can you drive the truck after 8 hours on duty? No, unless you take a 30 minute break. Can you drive the truck over 11 hours? No, until you have a 10+ hour break. Can you drive the truck after 14 hours on duty? No, until you have a 10+ hour break. Can you drive the truck after 70 hours of on duty in the last 8 days? No, until you "recapture" hours you worked 9 days ago. HOS is designed to prevent you from driving after a specific time frame. I hope this helps. It will make more sense when you are doing it. Does May allow trucks to go home? I drove for May for 2 years. I pulled reefer in the 48. I parked my truck at the yolo yard on hometime. It is very rare that May will let you drive the tractor home. If you have been employed by them for a few years and your DM is ok with it, then anything is possible. In my situation, I live 2 hours from yolo. I asked my DM for permission. I had to show proof I had a secure place to park. I also was told that any damages to the truck at my location were my responsibility. Truck parts are expensive. After some thinking, I didn't want the responsibility of the truck on hometime. It was easier for me to park at yolo. Once parked and logged out, truck was their responsibility until I returned. I loved working for May. I had a great DM, great truck, and lots of miles. When I got my CDL, I planned to get that coveted 1st year under my belt. I enjoyed it so much, I stayed over 2 years. I hope this helps. I watch for spray from tires of other vehicles. If spray, probably no ice. No spray, ice. Drive safe speed for conditions. Roadway will be little warmer than air temp due to friction from tires and warmth of day. I also walk up to the street exit at truck stop to see road. Just a few suggestions. Remember; failure is an event, not a character trait. Focus on your accomplishments and try to build on them. It will happen for you. Good luck. Wind. I had to take everything again so I could add hazmat. I took all tests, class A, C, & M1 including endorsements, for $39.00 in April 2017. Price might have changed since then. Good luck. Easy. Always slide tandems toward the problem. Master your clock. Master trip planning. Communication with your DM. Nothing pays more than cents per mile (CPM). When the wheels are turning, you make the most. By mastering your clock, you use a majority of your clock driving. Communication so when you get that 3 day, 500 mile load, you can offer alternative plans to keep running. Top tier drivers want to deliver early or T call at yard to keep running. If you don't communicate with DM, how will they know what you want. A real life example; I had to drop current load at receiver 2 miles away from yard, then take empty to shipper (30 miles) and PU preloaded trailer for next load. Instead doing it on 1 day, I had enough time on clock to drop current load in yard, take empty to shipper, PU preloaded and drop in yard. Hook up to original trailer and take 10 hour break. Next day, deliver original load, drop empty in yard, hook up to new load and go. This saved me 2 hours of clock. That's an extra 120 miles on that days shift. Planning and implementing these little things can make big differences in pay. Never carry on the job. Not worth it. On the other hand, a good can of wasp spray and an iron 5th wheel puller does inflict decent body damage. G & P does dry van. Not sure about reefer. Mostly southeast and some Texas. Check out YouTube, Trucker Jim and Red Viking Trucker channels. They drive for G&P. Seems like they are home every weekend. Hope this helps. I was a trainer for awhile. 3 things I think are important. 1) find out what your students expectations are of this industry. Dispel any myths. Some questions I was asked; a) $100,000 my first year possible? b) 34hr resets every week? When you find out their expectations are reasonable, help them achieve their goals. When the student becomes successful, they gain confidence. Point out when they are successful. 2) Figure out how they learn. Are they a visual learner or audio, combination of both. Find out fast and teach them that way. Then all time will be productive. 3) lastly, be serious but make it fun. Tell your stories and stupid mistakes you made. It will help them relax. Their stress level is high already. I pulled reefer for 2 years. My average trip was E Washington to Bedford or Foggelsville, pa. PU and hop to west coast IE. Philly to cincy, cincy to SLC, SLC to Portland then rinse and repeat. My first run after I soloed was Portland to Savanah, Georgia. 2800 miles in 7 days. :) You want to see the country, pull reefer. Good luck. How To Master Backing Up?